Puroht Conveyor Beltings Pvt. Ltd. Textile belt made using NN / EP synthetic woven fabric, skim inter plies and rubber interfaces; the thickness of which varies according to the type of application. Low elongation polyester warp fiber holds the belt tension, with more elastic polyamide weft fiber giving good trough-ability. Used for conveying all types of materials under average to severe conditions. Widely used for applications which involve high belt breaking strength, heavy load transportation at high speeds, with long centre distances or steep gradients; offering low elongation properties and long service life. Belt and cord construction varies depending on the nature of the application. Transverse reinforcements can be included in the belt construction to endure the most extreme conditions. 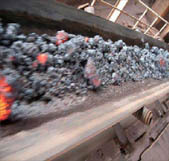 Conveyor belts that are used to carry materials at high temperatures as well as belts used in high temperature environments, such as elevator belts in cement industry, are exposed to an accelerated ageing process resulting in hardening and cracking of the rubber surface caused by heat. However this process can be significantly delayed by selecting the quality of cover best suited for specific conveyor application and the environment that is operating in. Covers that have a combination of both heat & wear resistance resulting in a much longer operational lifespan. One common method of elevating elevator buckets is attaching them to a belt. 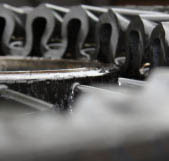 Belt is available in a variety of materials, cover thicknesses and grades selected to meet the specification application. Belt-type bucket elevators utilize a rubber belt. Common Application of this type of Belt is in the feed and grain industries, Power Plants & Cement Plants. The Rough Top profile is ideal for fragile material and lightweight packed goods. 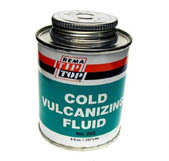 It is also used in inclined surfaces. 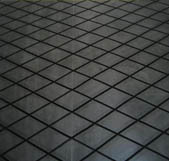 The special surface absorbs vibrations and impacts and also prevents material from slipping back. Special features are as under: 1) Provides excellent grip between belt top and packages, such as cartons, jute packages. 2) Black cover for utility applications. 3) Tan cover for non marking applications such as packaged food. 4) Available with bare back – bottom cover, to give excellent grip to the conveyor belt. Offering textile or steel cord construction base belts that are cross stabilized using either polyester mono filaments or steel rods, varying in construction depending on application requirements. Ideal for vertical incline conveying, the fabric reinforced flexible sidewalls and cross cleats are hot vulcanized onto a cross stabilized base belt, providing pocket protection for the product being conveyed. Ultra Heat Resistant Belts are developed & designed to carry material under extreme high temperature ranging from 180 degrees to 250 degrees. Before, taking a belt it is requested to discuss the temperature & material with us to enable us to recommend you the as appropriate belt. The Pipe Conveyor is an enclosed curve going transportation system for all kinds of bulk materials. At the loading and discharging points, the conveyor system is identical with open troughed conveyors. The difference starts after the loading point, where the belt is formed into its typical tubular shape by special idler arrangements over a certain distance and finally is led through idler panels with hexagonal cut outs and offset idler arrangement. At the discharging point, the belt opens automatically after the final idler panel and transfers the material to its next destination. Due to its tubular shape, the conveyor is able to manage horizontal and vertical curves as well as high inclinations. The enclosed transportation system not only protects the conveyed material against external influences such as climatic conditions, it also avoids material loss and spillage and thus, protects the environment. Rubber Pulley lagging can reduce slippage and extend service life of conveyor belt & pulley as well as increase friction coefficient. It is available in Diamond Design. 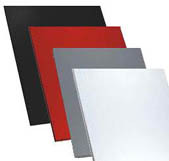 Screen Rubbers are used for increasing the life of Screens & Equipment. 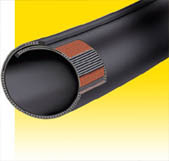 It also works as resistance to abrasion and corrosion. 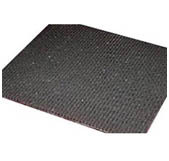 Screen Rubbers helps in noise and dusting level reduction which results in improving work conditions. 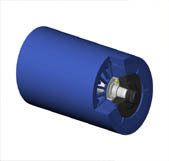 Heavy duty construction steel rollers & idlers with multi-labyrinth sealing to protect the bearings. Ideal for high capacity conveying and giving a longer service life, reducing belt ware and maintenance costs. 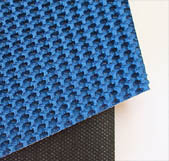 Industrial rubber sheet and skirting, available in a range of compounds, colors, thickness and shore hardness. Produced with or without fabric reinforcement. Mainly used for the cold vulcanization of conveyor belt jointing, It provides excellent bonding strength to the vulcanized joint of the conveyor belt. It also provides excellent performance in splicing and cold repair of Conveyor belt, pulley rubber lagging, wear & corrosion resistant to metal. 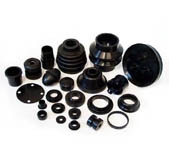 We specialize in supplying complex industrial rubber spares as per sample. The unvulcanized rubber compound is filled in mould and then vulcanized under electrical heat & mechanical pressure for requisite time varying from 15 to 45 minutes or more as per thickness to take shape of mould and to get cured as per the specified measure.